In 1981 an unassuming little game named Tempest arrived and quickly cemented itself as an arcade classic. Over the years there have been many attempts to recapture the magic that many hold dear when speaking of the original – now some 37 years later (yes 37 whole years!) Tempest 4000 is knocking on the door asking to be let in to the classics party. But is it left high and dry or does it still hit the dizzying notes of addictiveness that were so prevalent in the 1981 classic? Tempest 4000 sticks very close to the core concepts of the original game; you have a crab-like ship that can only manoeuvre along the outer edge of each level and the the aim of the game is to destroy all the enemy ships to progress to the next stage. With 100 stages in total and a huge variation in shapes for each stage, it will certainly take a while to master this. The game doesn’t give you much to go on and it offers hints in plain text whilst playing. This can be a distraction and often I found myself suffering a death because I wasn’t focused on the action, instead preferring to spend time reading a line of text. The main menu is also ever so slightly confusing – dark with bright neon text that often stops your eyes from seeing the button prompts at the bottom. Level selection is navigated with the d-pad and again this comes across as confusing when the game doesn’t properly explain that scrolling through levels can also change the mode in which you are playing. Thankfully the menu isn’t the be all and end all here, and once you have your head around it and get into the action, things start to look up. The controls are simple as you scroll the ship with left and right, fire with A and use your special with the B button; with enemies coming thick and fast, it won’t be long before you’re blasting away, filling the screen with bright particle effects and desperately trying to stop them from reaching the top of the level. Scrolling left and right does take a bit of getting used to, due to the odd acceleration effect your craft has while scrolling around, but once you have it down it all becomes second nature. There are also power ups on hand that can be collected via the green cross marks that scroll up segments of each level. These can range from extra lives to an AI buddy, or even the ability to jump while scrolling the level; this last one allows you to come back from certain defeat by jumping over the enemies at the top and blasting them away before you land. The power ups themselves are well thought out and add a nice touch to the core gameplay here. 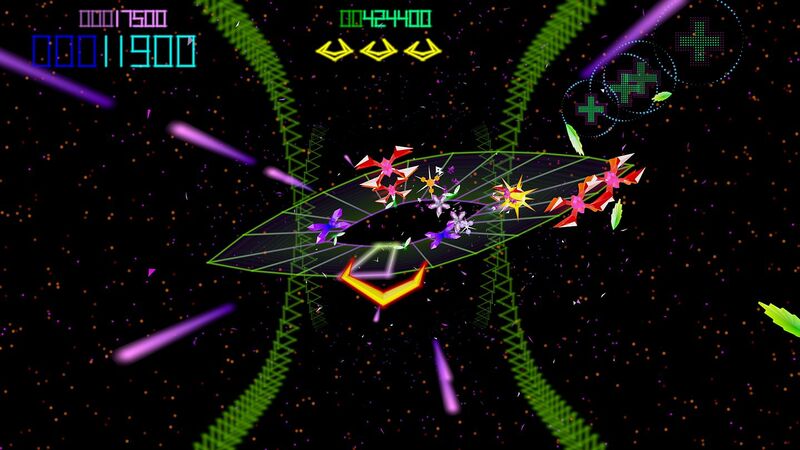 Difficulty can spike wildly and Tempest 4000 is certainly not for those with a lack of patience. However, you can come back to any level once you have visited it once in order to perfect it for your next full run through, and that is a nice touch that allows newcomers to get that vital practice required to learn the ins and outs of the game. The main meat here is Pure mode that has you running through all one hundred levels just trying to make it to the end. It’s joined by a Survival mode that sees you getting as far as you can with one life and the standard offering which allows you to select any level as a starting point for the aforementioned practice runs. Level variety is really good, ranging from a simple flat stage up to complex shapes that require a little more finesse to navigate. I did sometimes find that the slightly off angle camera can obscure the view of exactly which segment you are currently on, but again as with other issues it is something you can easily learn to overcome. Enemies come in a pretty decent variety of flavours too, with each one requiring a slightly different technique to destroy. Some are simple one shots while others require multiple shots, and there are some that may even leave a block on that requires some extra attacks to completely get rid of. 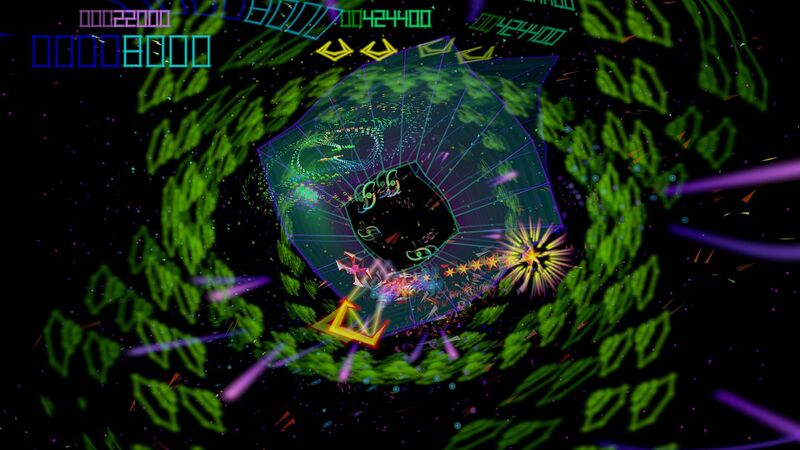 Graphically and Tempest 4000 again sticks pretty close to the visuals found in the original except this time around you get a nice 3D style view. Colours are bright – standing out especially on the black background – however these can sometimes detract from the action on screen. Sound is good, the music echoes tunes from past Tempest and does a great job keeping you pumped while playing, whilst the sound effects are also nice and despite being high quality manage to retain a nice retro feel to them. 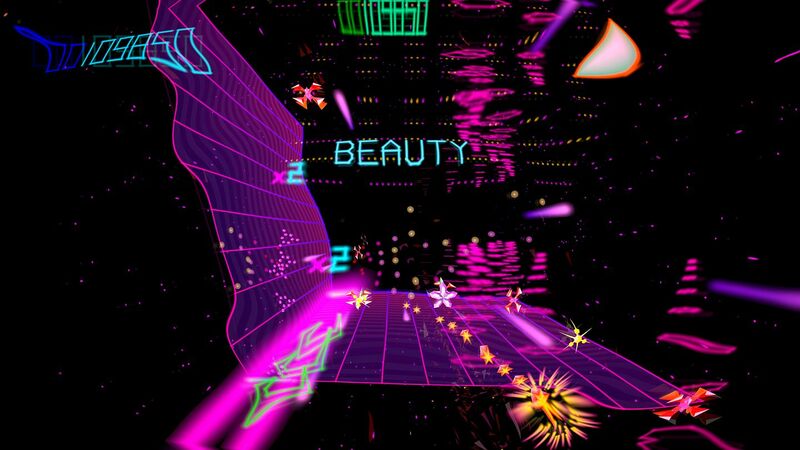 In all Tempest 4000 is really a love letter to the original game. It sticks very close to it’s source material, but despite this a few things have been added. If I’m honest though, most of these miss the mark. It doesn’t stop the game being addictive and fans of the series will enjoy every moment, but my one biggest issue is that of price. For £23.99 you just aren’t getting a lot of game, and feels like it should be more suited to the £10-15 range rather than where it is priced.